So as promised, a post sharing my trip to Cape Town! But first, some life tid bits. Not sure if I've said in a previous post but I have been suffering from what I thought was an injury for the last 6 months but because I love working out so much I forced workouts through the pain. That sounds a bit sadistic but really I was just scaling back a lot of things. I haven't squatted, deadlifted, oly lifted or been able to touch my toes in what feels like forever! 6 months of being told by about 4 different doctors that I'm obviously a bit loco and nothing is wrong with me, I finally found a sports doctor who is heaven sent! In our first appointment she made me walk around the room and twist around and then she said 'you walk funny, I think you have a hip impingement' -just like that! So 3 weeks later I've had (my THIRD) MRI done which confirmed I had not 1 but TWO issues in my hip and glute. Long story short, I'm currently recovering from a procedure that took all of 20 minutes but left me feeling like I had been MOWED down by a caravan but I'm telling myself it'll be all worth it to be able to squat again! 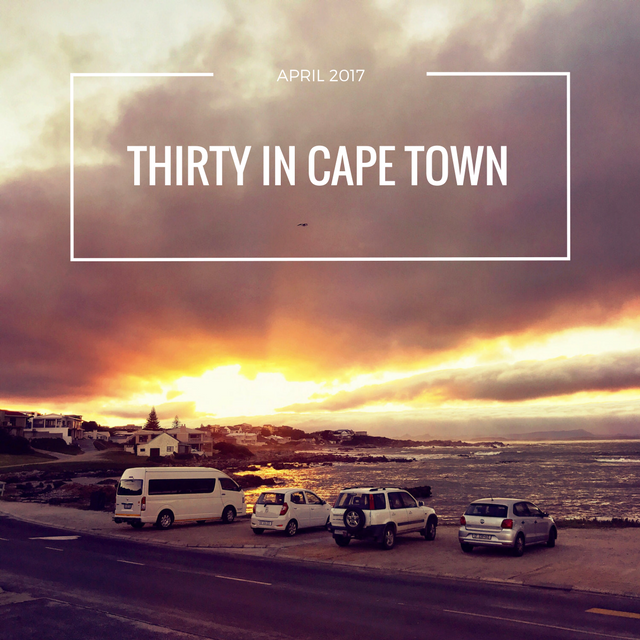 Now that I've let you in on what life is like as a 30 year old grandmother, lets travel back to when I was a 29 year old grandmother and went to Cape Town for my birthday! Firstly, like I stated in this previous post, I decided to break this video up into 2 parts (might even spill into 3) because I have so much footage but didn’t want to create a 30 minute vlog because I, for one, do not have the attention span to watch videos like that so my assumption is no one does (you’re welcome!). There are a good 10 days missing in the video because I may or may not have had too much to drink and forgotten my camera at my friend’s house so the time I spent in Zimbabwe is not documented. I might do a post of some tips to planning a group trip that I've picked up not only from this trip but also from all the others that I've planned because doing a holiday as a group is so tricky. You have different personalities, backgrounds, some people don't know each other etc and you have to find a way to make it memorable for them all. Not to toot my own horn but I do this well and this trip to Cape Town was no exception! I had so much fun and everyone that came did as well and unless they were faking it - they all had as great a time as I did! Please let me know if you have any questions in the comment section below!